Crucial has recently released the successor to their popular MX100 series SSD, pushing the limits even further with the new Crucial MX200 SSD series. The new MX200 is loaded with new features and is faster than its predecessor. It uses a Micron 16nm MLC NAND and Marvel 889189 controller. Some of its features are Dynamic Write Acceleration, RAIN, Exclusive Data Defense, Adaptive Thermal Protection, Data Path Protection and Power Loss Protection. Check out the rest of its features, specifications, price and availability below. 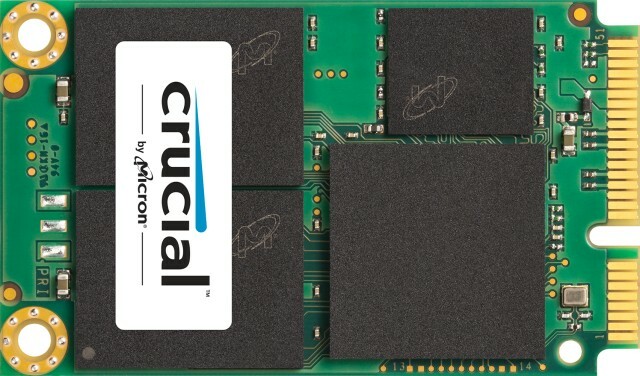 The new Crucial MX200 SSD delivers sequential read and write speeds of up to 555MB/s and 500MB/s, along with random reads and writes up to 100k and 87k IOPS on all file types. Additionally, with an endurance rating up to 320 TBW (total bytes written) on the 1TB model, the Crucial MX200 delivers up to five times more endurance than a typical client SSD. Each Crucial MX200 SSD includes Acronis® True Image™ HD data migration software that moves all files, operating systems, settings, and programs from an existing hard drive to a newly installed SSD. This patented disk-imaging technology powered by Acronis’ AnyData Engine allows users to quickly, easily, and accurately utilize their new SSD as their system drive. In addition to the standard 2.5″ form factor, Crucial will also be releasing the MX200 in mSATA and M.2 form factors. The Crucial MX200 will be available this Q1 of 2015 and will have a manufacturer’s suggested retail prices of $139.99 for the 250GB, $249.99 for 500GB, and $469.99 for 1TB. I’ll post an update soon when they become available to order online.